Understanding a concept like the coordinate plane often means putting the abstract terminology and descriptions into a real-world setting. Mathematics describes the real world, but often it isn’t clear how the concepts translate to real life. Coordinate planes range from being abstract representations of other variables to spatial coordinates that are easy to find real-world examples of. To use a coordinate plane in real life, simply choose what type of system you’re going to use and define the directions they go in. However, you need to consider a few more complicated ideas to get the most out of it. Use a coordinate plane in real life by choosing a coordinate system, and then defining which point is zero on the axes. Choose a unit of measurement to use and then you can describe the location of anything relative to your zero position using your coordinate system. The x and y plane of Cartesian coordinates is the simplest choice in many situations. Coordinate systems are different ways of describing a space. The one you’re most likely to be familiar with is the Cartesian coordinate system, where one direction is called x, a perpendicular direction is called y and another direction, perpendicular to both, is called z. For example, the x direction could be left or right, the y direction could be up or down and the z direction could be forwards or backwards. If you choose a unit of measurement, you can define any point in space with some combination of x, y and z coordinates. A coordinate plane typically means a two-dimensional description, so the x and y axes considered without worrying about the z direction. There are other coordinate systems too, and all are equally valid. For example, you could define a coordinate pointing directly away from you to the point of interest as r (for radial), and then add two angles (θ and φ) to tell you their orientation from left to right and top to bottom, respectively. This is a spherical coordinate system. Similarly, for a two-dimensional circular plane, you could define r as the distance from the center and use an angle θ to tell you how far around it is from a pre-defined direction. These are called plane polar coordinates. All of these coordinate systems are useful and none is “right”; you just use whichever one is best for your purposes. The Cartesian coordinate plane of x and y works well with many simple situations in real life. For instance, if you are planning where to place different pieces of furniture in a room, you can draw a two-dimensional grid representing the room and use an appropriate unit of measurement. Choose one direction to be x, and the other (perpendicular) direction to be y, and define a location as your starting point (i.e., the zero coordinate on both axes). You can specify any position in the room with two numbers, in the format (x, y), so (3, 5) would be 3 meters in the x-direction and 5 meters in the y-direction, from your chosen (0, 0) point. You can use this same approach in many situations. All you need to do is define your coordinates, and you can use these to describe locations in the real-world. This is an important part of doing many experiments in physics in particular, or for mapping the locations of populations of organisms in biology. In other settings, your smartphone screen also uses a Cartesian coordinate plane to track where you’re touching on the screen, and PDF files or images have a plane to specify locations in the same way. 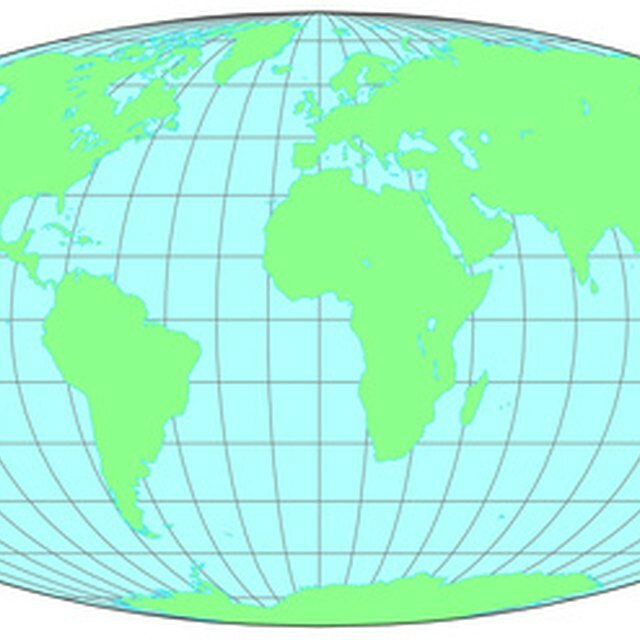 The latitude and longitude lines on maps of the Earth are an important example of spherical coordinates in real life. With the r-coordinate fixed at the radius of the Earth, the two-dimensional latitude and longitude plane is used to specify the location of different places on the surface of the Earth. Longitude is the angle in the east-west direction, with a zero point at the prime meridian (which runs through Greenwich, England), and latitude is the angle in the north-south direction, with a zero point at the equator. So when you define the location of a city or something else on the surface of the Earth using latitude and longitude, you’re using a spherical coordinate plane in real life. You can also use coordinate planes in a bit more of an abstract way, to describe how one quantity varies with another. By labeling your independent variable x and your dependent variable y, you can use a coordinate plane to describe pretty much any relationship. For example, if your independent variable is the price of an item and the dependent variable is how many of them you sell, you can create a graph in the coordinate plane to help you understand the relationship. You can apply this to a huge range of different problems, because the coordinate plane allows you to see how one quantity varies with another in a visual way. What Do Lines of Latitude Measure? Johnson, Lee. "How to Use a Coordinate Plane in Real Life." Sciencing, https://sciencing.com/use-coordinate-plane-real-life-8743000.html. 24 April 2018.